We strongly recommend anyone to have a Tasik lake cruise once they are at Putrajaya to admire the growth of Malaysia as a modern one. outstanding and the money is worth it! just before evening happens to be the perfect one! We had the lake cruise arranged by the meeting organisers. It was surprisingly a pleasant cruise. We were a multinational team coming from the U.S., Europe, Middle East and Asia. The view and the architecture of the places that we saw while on the cruise was breath taking. We throughly enjoyed ourselves. The staff on the boat were informative and helpful. Only set back was no alcohol is served or allowed on the cruise. Sipping a glass of wine or champagne would have been great while enjoying the sunset and the breeze. But overall we did enjoy the cruise. I will definitely recommend this but just be prepared to not have any alcohol. 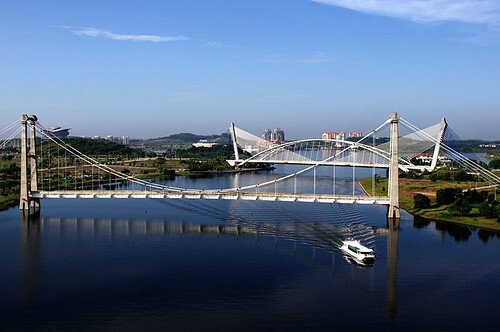 Suitable for taking picture, especially if you are touring with Cruise Tasik Putrajaya which passing by this bridge. During day time, a lot of couple taking wedding photo. There’s two ways to enjoy this bridge. Either by car or by boat cruise. Visitors can park the car, only for a while…although it’s not advisable at the roadside to enjoy the view and snap pictures. By night, people crowds and hang out at the bridge until the police car comes around and drive them away. Night or day, you will be blown away by the design and view along the bridge. Besides that, this bridge is also a famous area for outdoor wedding photography. Malaysia, being an Islamic country views this mosque as a community center. Various Islamic activities are performed there such a community talks, prayers on Friday afternoon and prayer for the holy month of Ramadhan. Don’t worry if you’re not a Muslim. Foreign visitor are allowed to enter the mosque before 6PM but females are required to dress moderately according to Islamic standard. Outside of the mosque, a giant square with beautiful flower beds allows children to run around, ride bikes and plays motorized mini-car. Car are allowed to park around this square but parking space may be difficult to acquire as people tends to hangs around. Scattered around the area, raised platform is available for picnic enthusiast. Besides that, stairs leading downstairs around the square provides viewing area of the lake and food court. A great place to casually hang out. If you are looking for ways to unwind and escape the heat as well as the traffic congestion in Kuala Lumpur, the Putrajaya Lake Cruise would be your best bet. Read on to find out more about this unique and relaxing way of enjoying a boat ride on Lake Putrajaya and at the same time view the city’s various landmarks from the comfort of an air-conditioned passenger cruise boat. 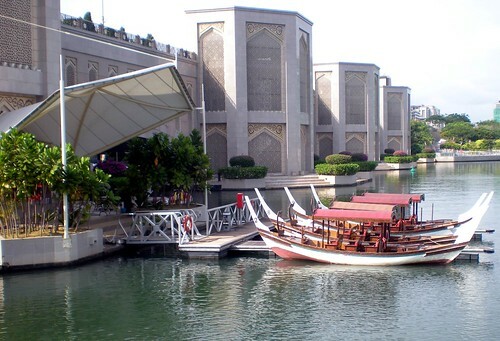 A luxurious cruise ride in Putrajaya. PUTRAJAYA Lake Cruise is marking its 10th anniversary this year with ambitious plans to get more people to realize “the best way to see and experience Putrajaya on water”. Better known as Cruise Tasik Putrajaya or CTP, it was launched on Aug 30, 2003, by then prime minister Tun Dr Mahathir Mohamad. Putrajaya Corporation (PPj) took over its management from July 1 this year via its subsidiary Cruise Tasik Putrajaya Sdn Bhd. “The cruise was established to tap into the recreational potential of the 650ha man-made lake and wetlands that span the federal administrative capital,” said Cruise Tasik Putrajaya CEO Zaharah Salamat. “CTP also allows visitors to see the city’s sights and landmarks from a unique perspective. “The idea was to make the lake popular for recreational activities,” she said, adding that the facilities included the Water Sports Complex and Maritime Centre. 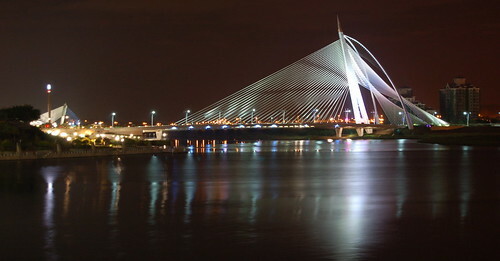 You can enjoy the magnificent night view of Putrajaya while cruising. Zaharah said everything about the cruise was conceptualized locally, from the design and manufacture of the vessels, to their operations and maintenance. It cost about RM35mil to set up Cruise Tasik Putrajaya including acquiring the fleet of vessels. Catamarans like the Sebarau and Kelah boats are able to cater to some 120 sightseeing customers or 60 dining customers, while the Daun and Belimbing boats can take about 70 sightseeing and 30 dining customers. The smaller Dondang Sayang boats are replicas of traditional Malay perahu, with a seating capacity of six to eight. “CTP offers sightseeing tours by perahu or air-conditioned cruise boats, dining cruise and private boat charters for functions or events,” said Zaharah. “The boats are purpose-built for sightseeing and dining, with the larger ones featuring a kitchen, toilet and karaoke facilities. Selection can range from small boats to large cruises. 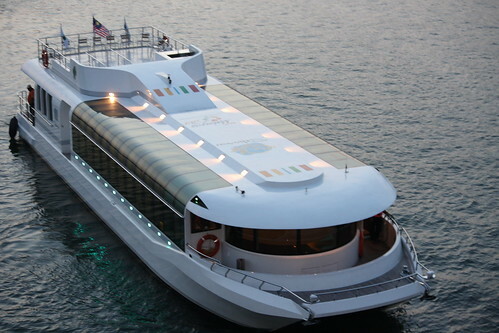 The sightseeing tour on the larger vessels takes passengers on a 45- to 60-minute guided tour, while the dining cruise takes about 1.5 hours. A minimum of 30 individuals are required for private charters, and bookings must be done seven days in advance. The sights and landmarks visited on the cruise include Putra Mosque, Perdana Putra (Prime Minister’s office), Millennium Monument, Darul Ehsan Palace, Putrajaya International Convention Centre, Seri Wawasan Bridge, Seri Saujana Bridge, Putrajaya Dam and several key government complexes in Putrajaya’s core island (comprising Precincts 2, 3 and 4). 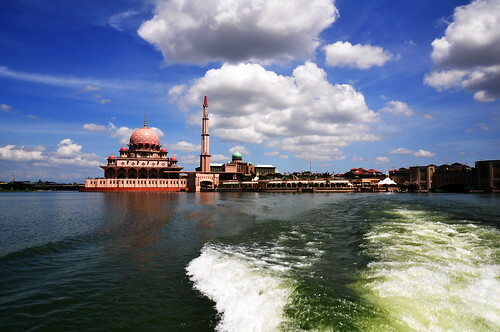 Enjoy some of Putrajaya most famous landmarks on a cruise. “The sightseeing tours contribute to 50% of CTP’s revenue; 30% comes from dining and charter cruises. “The remainder comes from other water-based activities CTP operates. “CTP attracts slightly more foreign tourists, particularly those from the Middle East, China and Taiwan. “About 40% of our customers are locals,” said Zaharah, adding that the peak seasons are school holidays and during major events in Putrajaya. Zaharah said PPj had initially sourced out the operations of CTP, as PPj wanted to focus on the development and management of Putrajaya. “After 10 years, we felt that the timing was right for us to take over,” said Zaharah, who previously served as PPj corporate communications senior deputy director. “There were concerns on transparency, protection of assets, and lack of promotion for CTP and its services. “Running CTP will also serve as a good revenue platform for PPj. “It is PPj president Tan Sri Aseh Che Mat’s vision to see more activities being operated by PPj staff. She said the previous operator took in about RM300,000 in monthly revenue, and paid RM45,000 monthly to PPj. With the management takeover, PPj hopes to generate between RM500,000 and RM700,000 in monthly revenue. Zaharah said PPj recently spent RM14.8mil on a seven-month project to landscape and upgrade the lake. “The desilting and drain-clearing works at Precincts 17 and 19 were to remove soil that had washed into the lake during construction. A long-term plan for CTP is to provide water taxi services for transportation. “The infrastructure for water transportation has already been set; it is just a matter of feasibility and availability of boats,” said Zaharah. As part of CTP’s expansion plans, RM3mil was spent to acquire 15 small lepa-lepa boats. She said PPj would work hard to increase awareness of the cruise by providing more signs and having better trained staff. She added that tentative activities for CTP’s 10th anniversary include discounted rates, a carnival and art competition. The CTP ticketing counter is located at Jeti Putra, underneath Putra Bridge. Entrance to Jeti Putra is from Dataran Putra, where the Putra Mosque is located. The price for an adult with MyKad is RM30 for the sightseeing passenger cruise, RM20 for the Dondang Sayang boat, and from RM61 to dine. Next post: Did Noah’s Ark Just Arrive In Penang?